I am spending time with my family this week, so I am not having Women Speak. I will resume it next Tuesday, when we will talk about how to live your life as an aging single woman, a topic suggested by one of my readers. I have been spending some time thinking about ways to live a healthier life and so I thought I would share these simple suggestions today. 1. Drink Plenty Of Water. Drinking two cups before a meal can cut calorie intake by 15% and keep skin looking healthy. 3. Move That Body. 30 minutes of walking can burn 200-250 calories. 4) Eat One Less Bite. Cut 250 calories from food and burn 250 calories with exercise each day and you can lose 3500 calories, or one pound a week. 5) Give a Hug, Get a Hug. Hugs can lower blood pressure and ease stress. 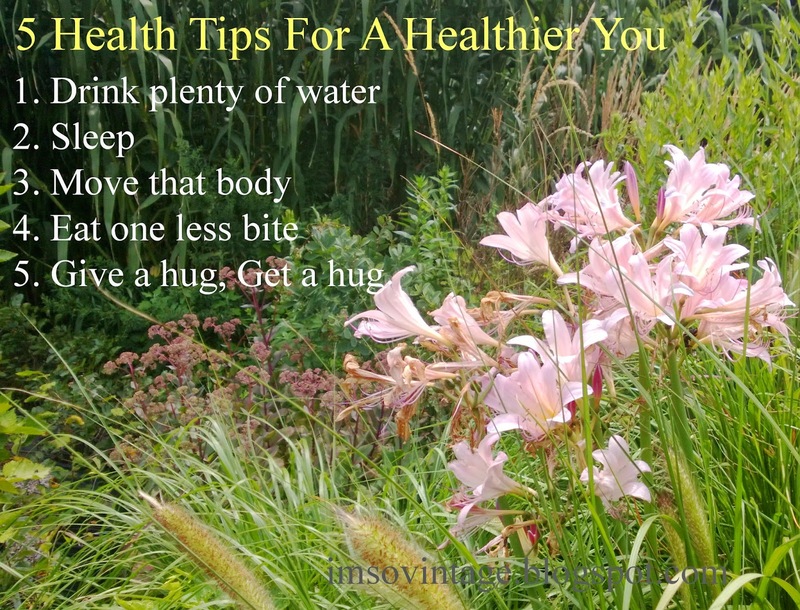 Thanks to Conscious Life News for these tips. I also want to take a moment to say how saddened I was by Robin Williams death. My ex husband, the father of my daughters, also suffers from Bipolar Disorder. It is a devastating illness in the lives of many families. My prayers are with his family. Laura, thank you for the reminder. 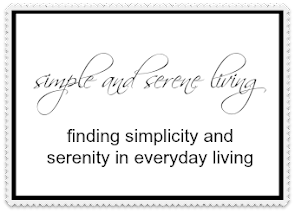 These things seem so simple, but when we are doing too much and taking care of everyone except ourselves they are easily forgotten. I'm looking forward to your topic of aging single women. I feel invisible most of the time and there are a lot if us out there. Good tips. My doctor told me just this week that I should move more. That people who sit too much (as I've been doing lately) are less healthy and more tired than those who exercise even a little bit during the day. It's funny how we all know these hints, but I wonder if we all follow them as much as we would like. Great hints, and I am going to take them to heart. Speaking of hearts...mine goes out to Robin Williams, and his family...a bright light gone too soon. I admit that I do all of these but sleep has become the most important to me! Can't go without some good sleep! Great tips Laura and I am happy and proud to say I do these things. T he sleep one slides a bit right now with the house getting put together, LOL.